Someone in the vicinity pulls out a smartphone and searches for a good place for lunch. How do you make sure your sandwich shop shows up front-and-center? Furthermore, how do you guarantee your listing is enticing enough for a click-through, or a more direct stroll-through-the-door conversion? These are the questions businesses have when trying to get hyperlocal with their marketing, and we’re going to help shed some light on the subject so that you can design your business website easily to rank for highly-convertible geo-targeted keyword searches. It’s not all about SEO (gasp!). 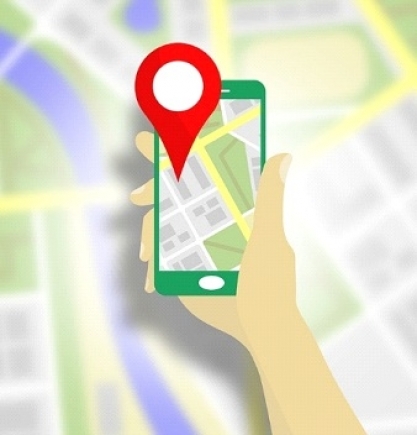 Building a strong local presence can also include non-digital methods that prove effective at connecting with your targeted audience time and time again. For example, partnering with area real estate agents is a great way to get in front of new customers. People love recommendations, even when they don’t know the one recommending that well, so the person who just them into their new home has some great influencer potential. New residents always want to find out where the best pizza is, where to get their hair cut, and who to trust with their car repairs. A very active local realtor with great networking skills can be your golden goose! And you techno-snobs, don’t frown upon other old-school marketing like direct mail either! Direct mail companies can sell lists with new resident info or put your flyer or ad in with a “Welcome to the Neighborhood” mailer package. Plenty of people still find their first local contractor this way. After much hinting, suggesting, and finally warning everyone for years, Google is now favoring mobile-friendly websites over their crappy competitors in mobile search results (and likely regular ones too). Fortunately using the Blockity DIY website builder platform means your site is not only mobile friendly but responsive which is Google’s preferred way of ensuring searchers get the best user experience. On-the-go people looking for a coffee shop are not going to waste time on a site with un-clickable links, tiny print, and frustrating navigation so the search engine Giant has already pushed those to the back of the line – time to step up your game if you want to dominate locally! Oh, you have a GMB profile already you say? Well I wish I had a dime for each Google My Business account that was set up incorrectly or was otherwise un-optimized! Make sure you select ALL the right categories to be listed in, upload high quality enticing images, and encourage your happy customers to get some reviews in there. If your business has seasonal hours or services update these as needed throughout the year – that’s how you garner a top position in the coveted “3-pack”. Structured data markup is a little bit like a cheat sheet for Google. While the search engine bot can often pick up important details about your business when crawling your site, there is such a thing as “crawl budget” (the bot is not going to make it to every corner of every page) and there’s no sense leaving the proper interpretation of your website up to chance. Using JSON, schema.org, or another Google-approved markup language is a great way to get key facts like your business hours, phone number, and products stand out. It’s important to note that searchers have the option to filter businesses based on business hours currently. There are likely a couple dozen quality, high-traffic local directories in your area that you need to optimize to your advantage. This means more than just letting the directories’ own crawlers glean some information from the web and draft you up an automatically-generated profile. We can’t overstate the importance of having consistent NAP (name address phone number) across all profiles. These MUST be standardized and appear the exact same way on every directory you optimize and reflect the way it’s presented on your website. The big “G” frowns on mismatches, and it’s common for the auto-generated profiles to leave off your suite in the address, use a previous address, or use a phone number other than your main one. These trusted sites send location signals to Google, and we’ve seen cases where fully-optimized local directory profiles not only help with 3-pack rankings but generate their own referral traffic to the website straight from the directory! Do this yourself or enlist a service like Moz local, Yext, or SweetIQ to sync everything up for you. One quick mention – when we talk about directories we mean real directories that get traffic and are actually viewed as trustworthy by the average consumer. We don’t mean the fake directories created by low-caliber SEO’s that only exist to game search engines (and aren’t very successful at it). What’s a citation you ask? Well it’s basically a link without a link (that clears it up nicely, doesn’t it?!?). But really a local citation is a mention of your business on another high-authority local-focused website and Google uses these to determine that yes indeed you do operate in the particular area you say you do. These mentions can be in articles or a list of local vendors and don’t need to include backlinks to be valuable to your business – Google sees them regardless and understands that the citation source is vouching for your existence in the real world. Common sources for citations are chambers of commerce, non-linking media mentions, locally-relevant consumer blogs with actual readership, industry periodicals and more. Just as with directories, in building citations the NAV must be 100% correct and consistently displayed. Yelp optimization is absolutely necessary as well and a special animal unto itself – fortunately we already wrote a Yelp optimization guide for you here. You’ve now got a checklist to make sure your local presence is top-tier and prominent with motivated nearby searchers. We should mention that if you have multiple locations then you’ll want to create a unique page on your website for each one, that includes not only original text content that is different from your other location pages, but again include all the goodies like the location’s NAV, business hours, and all the rest discussed above. If your site is not mobile-friendly then let’s fix that TODAY! Get started with the super-easy Blockity business website builder platform now!